Cavern of Souls ($59.95) Price History from major stores - Modern Masters 2017 - MTGPrice.com Values for Ebay, Amazon and hobby stores! 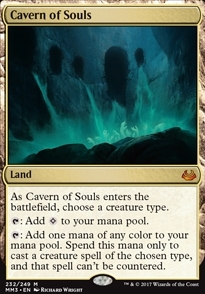 Card Text: As Cavern of Souls enters the battlefield, choose a creature type. %T: Add %C to your mana pool. %T: Add one mana of any color to your mana pool. 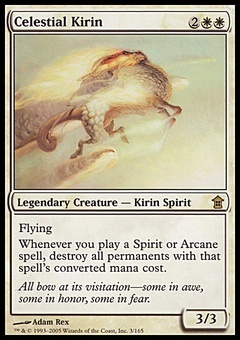 Spend this mana only to cast a creature spell of the chosen type, and that spell can't be countered.